“We need more historians and fewer economists”. He has a point, although I declare an interest as a history fan, albeit one who has written a fair bit about economics. 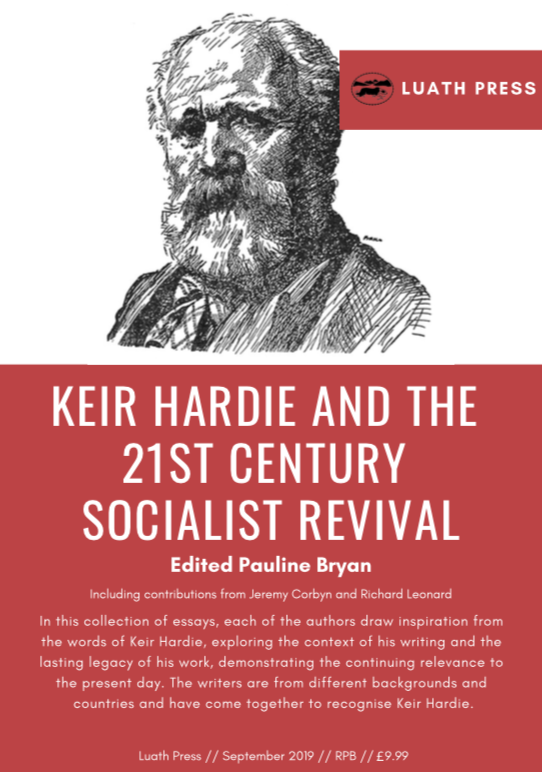 I am also the Secretary of the Keir Hardie Society that seeks not only to remember the historical figure but also to promote his ideas in a modern context. That is precisely what a new generation of historians seek to do. Dan Snow often asks historians to give some historical context to current affairs on his podcast. It is also not an either-or choice, as some economists use historical context effectively. I have in mind Thomas Piketty (Capital in the Twenty-First Century) and Mariana Mazzucato (The Entrepreneurial State). This matters because as the Spanish/American philosopher George Santayana said; “Those who cannot remember the past are condemned to repeat it”. You might also argue that those who study history can successfully repeat it. For example, I can think of more than a few generals who have successfully copied Hannibal’s double envelopment tactic at the Battle of Cannae. I accept this trend is not always progressive. I watched David Starkey on Politics Live last week, at his pompous, arrogant worst, as he patronised a young woman panellist. The teaching of history in our schools has come in for some criticism. Professor Tom Devine argued some years ago that pupils are leaving school with little knowledge of their nation’s past because history is being squeezed out of the curriculum. When Scottish Ministers raised this issue, some argued this was a nationalist plot to indoctrinate young people. I didn’t agree then or now. Many people in Scotland would benefit from a better grasp of our history. 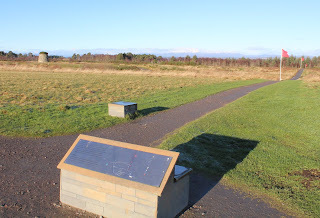 Last year I was on the Culloden battlefield when a visitor was telling his son and me that this was where the English murdered the Scots. He wasn’t too happy when I politely pointed out that we were standing on the spot in the ‘English’ line held by the Royal Scots Fusiliers, supported in the second line by the King’s Own Scottish Borderers. And don’t even start me on Braveheart, Scottish knights fighting with Edward at Bannockburn or the recent Netflix film on a well-known descendant of the Norman French de Bruis family! This also plays into concerns that there has been a narrowing of subject choice in Scotland’s schools. The Scottish Parliament’s Education and Skills Committee is conducting an inquiry into that very issue. Lindsay Paterson also makes a case for a broad curriculum in yesterday's Sunday Times. This is one of the issues raised in Scottish Labour’s current education policy consultation. 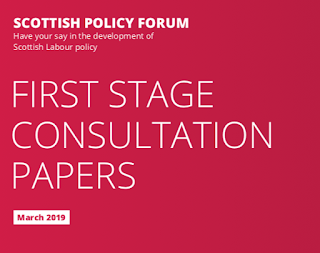 That paper also asks how we can develop Scotland’s working class and labour movement archives and increase access to our industrial museums? We have a strong heritage sector in Scotland, with good museums that strengthen our understanding of the past. My encounter at Culloden might not have been necessary if the excellent revamped visitor centre had been open. But many of our battlefields are not so well preserved. Even Culloden is threatened by development, as is Prestonpans and Transport Scotland are planning to do further damage to the Killiecrankie battle site. Our industrial museums operate on very modest funding levels. Local government cuts have added to the pressure on local historical facilities. The People’s Palace in Glasgow was only saved after a local campaign. It has just reopened after a £350k refurbishment, but the Winter Gardens remain closed. The Scottish Government held a consultation last year on a draft culture strategy. The responses generally support the ambition and approach while emphasising the need to support the capacity financially. Extra funding can be levered in, but stable government funding is crucial. Neither should we be parochial. The responses emphasised the importance of an international focus. Not just in promoting Scotland's diverse cultural assets, but in enriching and renewing our culture at home through meaningful contact and exchange with cultural policy and best practice from around the world. even I think is an obscure historical subject, to find how many times it has been borrowed. So, while we need both economics and history, let’s think about how we can better support our history through education, museums, sites and events. Not just to remember the past, but also for what it can tell us about the issues of today. There is a broad consensus on the need for ambitious targets on tackling climate change, but there are some differences around the edges when it comes to taking practical action. The Climate Change (Emissions Reduction Targets) Bill is being debated in parliament today. Timely, as the Intergovernmental Panel on Climate Change is meeting in Edinburgh. I was pleased to be able to support the rally outside parliament, which included many references to the recent inspirational protests by school pupils. This is the First Stage debate, so parliament is only considering the general principles. These mainly revolve around how ambitious the revised targets should be. 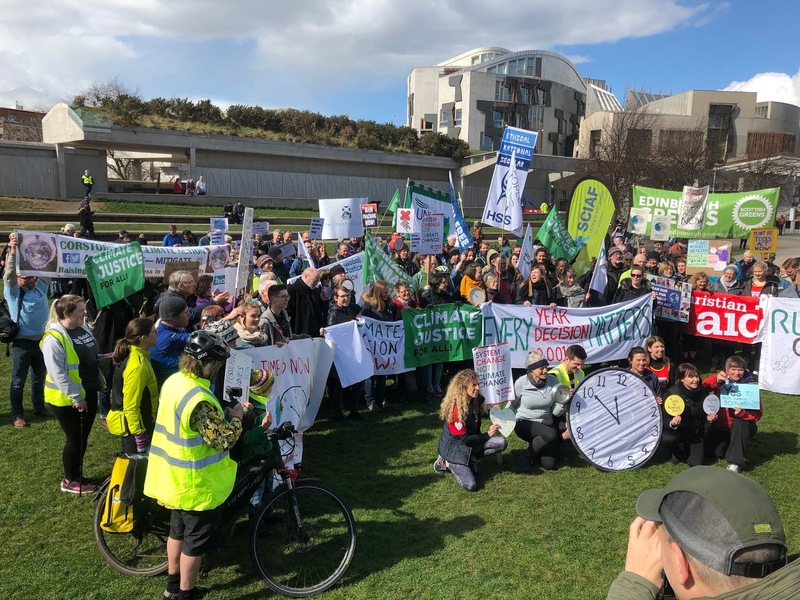 Climate change campaigners, co-ordinated by Stop Climate Chaos Scotland, supported by Labour and the Greens, want the Bill to go further. SCCS are calling for a reduction in emissions of 80% (on 1990 levels) by 2030 and net zero emissions by 2045 at the latest. They also want the new legislation to provide assurances of transparency in how public funds are spent to contribute towards emissions reductions and commit to policy change to give warm homes, cleaner travel and support for greener farming. The Scottish Government is not opposed to this in principle. The climate change minister argues in today's Scotsman that Scotland is at the forefront of global ambition on climate change. They are awaiting next month's UK Committee on Climate Change's advice on the credibility of a 100% reduction. The case for taking radical action is not in dispute, except for a few climate change deniers, or the subtler delayers. Denial is, as Mary Robinson described recently, not just ignorant, but ‘malign and evil’. As the poll published by SCCS today shows, there is broad public support for climate action. 70% of respondents support Scotland taking greater action in transport, food and homes to tackle climate change. And the concern is growing, with one in three more concerned about climate change than a year ago. So far so good. However, there have been some differences over the measures required to deliver on climate action. I would agree that the fossil fuel industry has to recognise that some reserves will have to stay in the ground if we are to achieve the necessary reductions in carbon emissions. The problem at this stage is that it is unclear how much of the existing reserves will be needed and how quickly technological developments will allow us to achieve this. Crucially, the motion omitted any mention of a Just Transition that protects jobs. 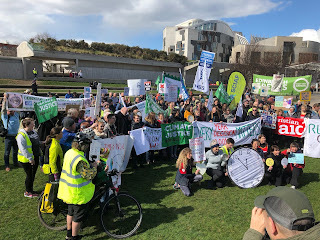 Workers in the oil and gas industry have noted the absence of a Just Transition in the renewables sector, and we certainly don't want to repeat the experience of the coal industry, which blights many communities across Scotland to this day. That is why we need to develop a new industrial strategy based on a Green Industrial Revolution that demonstrates a credible pathway to new jobs. This is an approach that a Green and Labour MP have come together on at Westminster, with their Green New Deal Bill. A statutory Just Transition Commission in the Climate Change Bill is an essential element of that approach. Similar considerations apply to the Workplace Parking Levy. Penalising workers who have little option but to use a car to perform their duties or get to work, before we have a functioning public transport system, is not going to persuade anyone. In essence, we need to put the horse before the cart, not the other way around. If we don't, we risk losing the argument on climate change and fuelling a backlash. The Gilets Jaunes protests were triggered by increasing fuel prices, and they were not an isolated example. Research by Davide Natalini at the Global Sustainability Institute has recorded 44 different events worldwide. He argues that the design and implementation of new policies need to become more inclusive. The rich can buy their way out of climate action, the poor cannot. Climate policy needs to be seen as relevant for those communities if they are to support its implementation. Cash transfers, what I would call the redistribution of wealth, needs to ensure that those who cannot shift to more sustainable and expensive options quickly are supported. There also needs to be better communication of why these measures are required to ensure the support of communities who are likely to be most affected. The case for radical action on climate change is undeniable. But to win support for what will be a difficult transition we need to take workers and those least able to bear the cost of change with us. 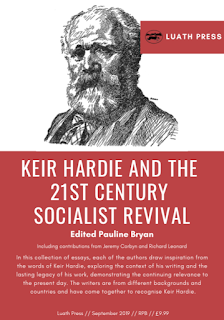 It’s time to get radical if we are to address the vast challenges facing Scotland and the rest of the UK. Inequality. One million people in Scotland live in poverty, including 230,000 children and 140,000 pensioners. Poverty is not just a condition, it is a matter of life and death. Healthy life expectancy can vary by as much as 20 years between the most and least deprived areas of our country. Climate change. The latest UN report says we have twelve years to simply limit a climate change catastrophe, by keeping the increase in global warming below 1.5C. Our health, the economy, our diverse fauna and flora, as well as wildlife, are all at risk. Disempowerment. The UK is over-centralised and too many powers stop at Holyrood while others are taken from local government. Economic power continues to be grabbed by big corporations, mostly unchecked by regulation or industrial democracy. Broken society. Too much emphasis is placed on economic performance and too little on the impact on human beings and the communities of place and interest they live in. Automation at work is used to exploit the workforce rather than liberate them. Isolation, intolerance and our consumer culture are contributing to a broken society, where we patch and mend the mental health consequences, rather than tackle the root causes. I have been working on the Scottish Labour Party’s policy development process for the 2021 manifesto. 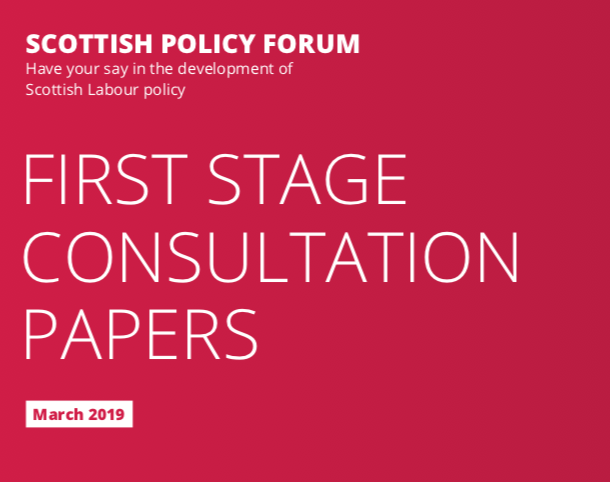 The first stage consultation paper highlights a large number of challenges and invites members and stakeholders to suggest ideas that will develop Labour’s vision of real change. There is nothing ‘moderate' about the vast inequalities in Scotland, homeless people on our streets, the growing mental health crisis, climate change or the uncontrolled power of global corporations. The establishment tells us to be pragmatic and stick to incrementalism - when what is needed is systemic change. Let’s take just three very recent examples of proposals for radical change. It has taken today’s children to demand that my generation takes climate change seriously. As Phil McDuff argues, climate change is the result of our economic and industrial system – we need to re-evaluate our relationship to ownership, work and capital fundamentally. I wouldn’t normally regard the Scottish Land Commission as a body ready to consider radical solutions. However, today’s report says that most of the disadvantages of Scotland's current pattern of land ownership are related to a concentration of decision-making power. It noted that in some parts, that hampered economic development and caused serious and long-term harm to communities and there was an "urgent need" for mechanisms to protect fragile communities from the "irresponsible exercise of power". Progressive think tanks like the New Economics Foundation have long argued that we need a new approach to local economies that challenge the economic orthodoxy of inward investment. Last week they built on their long-term criticism of personal allowances with a proposal that replaces those allowances with a weekly national allowance. Radical change isn't easy for political parties. The two biggest Scottish spending budgets that could be shifted by preventative spending are acute hospitals and prisons. However, a minority of voters understand the case for moving resources and are much more likely to be concerned about ward closures and reductions in the use of custodial sentences. The typically dismal mainstream media reaction to Richard Leonard’s conference speech on free bus travel reflects the establishment’s need to stamp on radical change. The problem they face is that policies like this are actually growing in popularity. Radical progressives are having an impact far higher than their ‘incrementalist’ peers. Just look at the way Alexandria Ocasio-Cortez’s Green New Deal has started a meaningful discussion about climate change in the USA. So, radical change isn’t easy, but the challenges that face us deserve radical solutions. And more and more people, of all ages, are recognising that reality. Pension funds need to consider the long-term impacts of their investment decisions. That is particularly obvious when it comes to fossil fuel companies. The evidence is unequivocal that companies cannot burn all their reserves if the world is to avoid catastrophic climate change. That analysis doesn’t come from a Friends of the Earth or Greenpeace briefing – it is the view of Mark Carney, the governor of the Bank of England. Others have made the moral case, he highlights the financial risks of investments in companies who could find their assets ‘stranded’ as the world acts to tackle climate change. 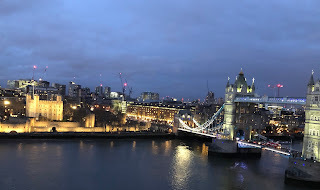 Last night, I was speaking at a seminar chaired by the Deputy Mayor of London, in an impressive venue, the Living Room at City Hall. I was outlining a trade union perspective on divesting fossil fuel investments from my experience in local government pension funds. Some London funds have already taken this decision, and others are quietly moving away from these investments. The seminar heard from Southwark Council who are one of several in London who have clear policies. Leadership from Mayor and GLA is crucial. The Sainsbury Foundation also spoke at the seminar, highlighting their helpful guide to divesting and reinvesting. It is a sign of progress that the case for divestment as set out by Platform London, is broadly accepted. The discussion in the panel session and workgroups was around the practicalities. I outlined the importance of action on climate change and the role of the public sector in leading by example. I described the public sector duties in the Climate Change (Scotland) Act 2009 to reduce emissions, introduce adaption measures and work sustainably. This legislation had significant cross-party support in Scotland and is currently being updated in a Bill being considered by the Scottish Parliament. While the ambition in Scotland to tackle climate change is undeniable, action on fossil fuel divestment in Scotland has been slow. This is despite national and local campaigns and even resolutions passed by councils who are the administering authorities for pension funds. Presentations have been made to Pension Boards, and a parliamentary inquiry by the Local Government Committee highlighted the issue. There are some barriers to action by pension funds. Officials tend to adopt a conservative approach to change and dislike what they perceive to be political considerations. Too many funds are small and don't have the expertise to consider this issue thoroughly. This is one of the reasons why Scotland is looking at a structural review, which would enable funds to develop a team with the necessary expertise. Fiduciary duty is often wheeled out as a last-ditch defence, and it was raised by several speakers last night. I wrote a briefing on this issue for UNISON in 2015, which explains why this shouldn’t be an issue. It cites Scottish and English Law Commission reports and an opinion from Nigel Griffiths QC. 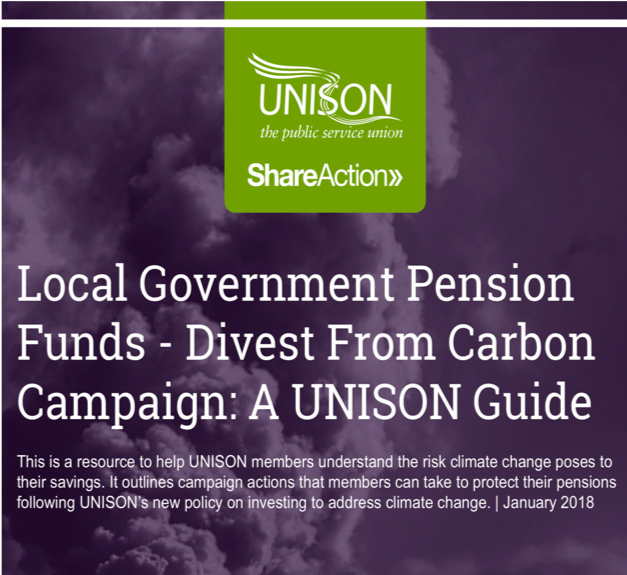 In essence, pension funds are entitled to take environmental and social issues into account so long as they do not risk material financial detriment to the fund. Also, pension funds are not exempt from the public law duties that apply to the administering authorities. All investments involve a degree of risk, so fiduciary duty doesn't mean taking no risks. Ethical investment is rarely any riskier than other investments, and legal challenges are rare so long as funds follow a proper process. 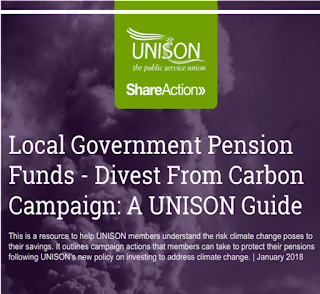 UNISON has also produced a useful guide on how to divest from fossil fuels. That starts with gathering information on investments before influencing the fund's investment strategy. It is import to emphasise that the policy should not only decarbonise but also adopt positive investments in the low carbon economy. 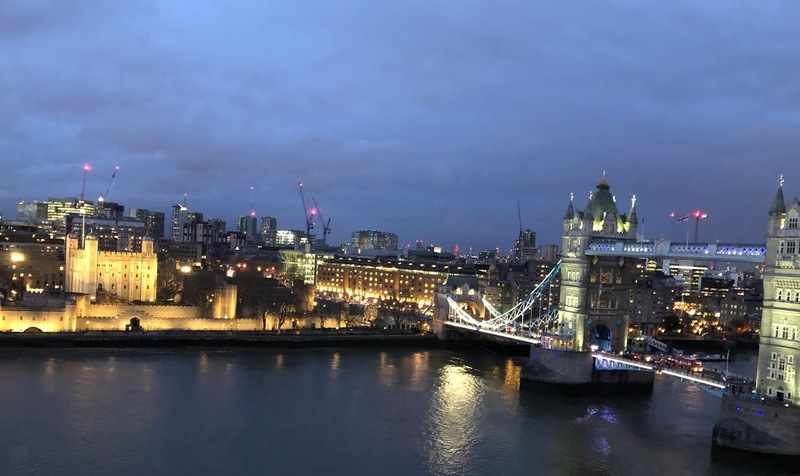 The discussion last night also highlighted concerns over shareholder engagement strategies and the ‘Green Wash’ produced by some companies and investment advisors. We need more genuinely fossil free funds to invest in, not vague commitments like ‘low carbon’. The campaign to divest from these risky and unnecessary investments is making steady progress across the country. The practical experience of funds is helping that development as are the growing number of national and local campaigns. London is showing great political leadership on this issue. Every month economists and commentators pour over the Gross Domestic Product (GDP) figures, and at budget times we worry about the projections published by the Fiscal Commission and the Office of Budget Responsibility. Including those great fan charts that show the wide range of forecasts that are supposed to measure economic growth. Since the 1930s GDP has become the primary target for government and international comparison. This has led to an era of mass consumerism and an expectation of endless GDP growth. Despite what we know about the environmental impact of growth on our finely balanced planet, the solution to all our economic and social ills is apparently even more growth. 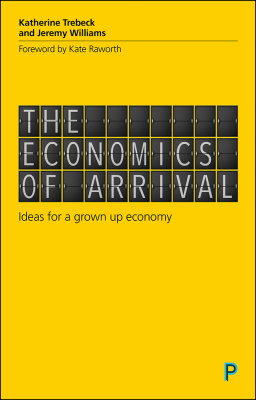 A new book by Katherine Trebeck and Jeremy Williams, ‘The Economics of Arrival’, invites us to consider a future where economic progress might not mean endless growth. In Scotland, we know Katherine best from her work at Oxfam on the Scottish economy and the Humankind Index. This book is a natural expansion of that thinking. Before anyone dismisses this as anti-growth, the authors acknowledge the benefits that economic growth has delivered. In the decade to 2012, all countries accelerated their achievement in the Human Development Index. There have been dramatic reductions in child mortality and levels of poverty, common diseases are being controlled, and more children are attending school with a consequential increase in adult literacy. We live in an extraordinary age, and much has been achieved. However, you just knew there was going to be a ‘but’! Growth on its own does not automatically help people to move out of poverty. Growth only translates into real progress when resources are shared, including on collective institutions and socially constructive purposes such as health and education. For example, Egypt under Mubarak regularly posted growth rates of 6-7%, but 90% of the population never benefited. ﻿The United Nations Development Programme identifies different forms of negative growth. These include ‘jobless growth' that does not create employment, ‘ruthless growth' in which the rich get richer, and the poor get poorer, and ‘futureless growth' that comes at the expense of the environment. Much of this book aims to explain how the fruits of growth are coming to an end. As we prioritise growth over security for all we are seeing an increase in the diseases of affluence, environmental degradation, and even stalling life expectancy, as the recent ScotPHO report shows. If we are in a global growth race, when do we reach the finishing line? The authors persuasively argue that improvement in people's quality of life is not on an endless upward curve as social progress is decoupled from GDP growth. Alternative indexes show that social progress slows when countries reach middle-income status. This can drive demands for spending that equates to ‘failure demand', not dissimilar to the approach described in systems thinking. They ask us to embrace the concept of ‘Arrival’ and making ourselves at home. Countries need to become better at focusing on the quality of the economy instead of its size - pursuing further growth risks undoing the achievements already realised. This is not a new concept. Even Adam Smith back in 1776 imagined a country that had “a full complement of riches”. This book does not offer a new system of post-growth economics that we can switch over to. It recognises that moving to these alternatives will be an evolutionary process. There is no grand top-down vision – it is something that people and communities need to discover together. Making ourselves at home means sharing wealth more widely, rather than permitting a few to pathologically hoard it. Getting things right the first time and so avoiding the harm and costs that come with a blinkered focus on more. Surveys tell us that we are at our happiest when socialising and engaging in meaningful activity, not when consuming. This does require a profound cultural shift as well as an economic and political one. Practical measures might include shifting taxation from income to luxury goods, wealth, land and unearned income. Shared and better work, ending the economic reliance on unpaid work, mostly done by women. This is also where the ‘foundational economy’ can contribute, developing a circular economy, co-operatives and new business practices. All of this has to be underpinned by a vibrant and responsive democracy. There are some examples in the book where these principles are present. Some South American countries and, perhaps surprisingly, Japan. GDP growth in Japan stopped growing in the mid-nineties, but they score highly on almost every other measure, even though they are reluctant to accept they have arrived and challenge their work-based society. ﻿Costa Rica overperforms on alternative indexes, delivering longer life expectancy and higher wellbeing than the US, but with just one-third of the ecological footprint. · ﻿Highlight the failures of the current system. · Paint a compelling picture of what a new economic model might look like. · Work with people who have power in the current system, or who could gain it. · Support people who are seeking and delivering change themselves, and those who are open minded, leaving those who are unlikely to change where they are. A key ingredient of change is the development of alternative measurements to GDP. There has been some work on this in Scotland and elsewhere, including the Oxfam Humankind Index for Scotland. These show that there are better ways of measuring genuine progress than a simple increase in economic activity. No single project will change the system, but many small steps over time will. This book suggests steps for international institutions and governments. Steps for business, cities and local communities. And steps for individuals. There is no avoiding action!